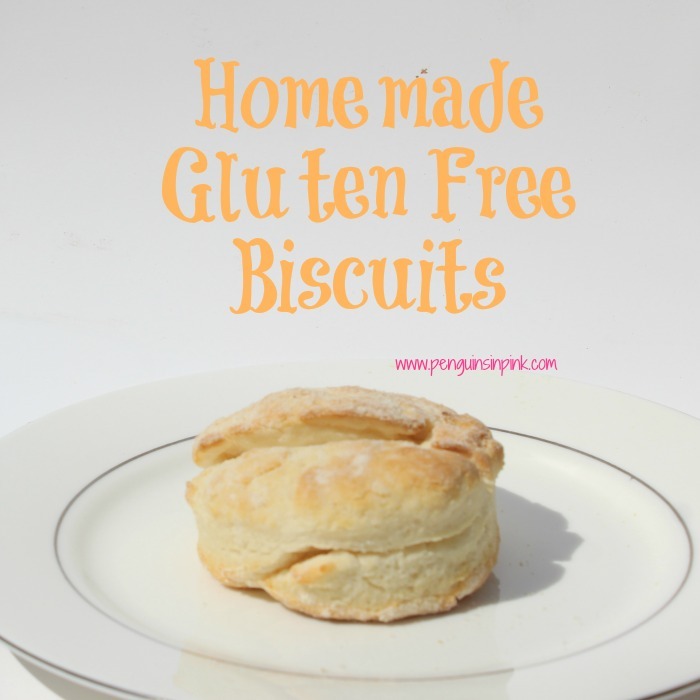 This post, Homemade Gluten Free Biscuits, may contain affiliate links. This means if you make a purchase through one of these links, Penguins in Pink will receive a commission at no additional cost to you. My mom makes the best biscuits. They always go perfectly with her sausage and gravy. Now that we are gluten free I was pretty sad that I would not get to have either of those treats. I decided to try to turn my mom’s biscuit recipe into a homemade gluten free biscuit recipe. 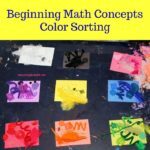 And… It was a success! My homemade gluten free biscuits were light, fluffy, and soft on the inside. Just like mom used to make before we were all gluten free. Whisk flour, xanthan gum if using, baking powder, and salt together. Cut the cold shortening into chunks. Using a pastry blender or two forks, cut the chunks of shortening into the flour mixture until it resembles a coarse crumb. Add a half a cup of milk and gradually increase by a tablespoon as needed up to 3/4-1 cup. Your dough should be slightly sticky but not wet looking. Generously, sprinkle some flour on your work surface and knead the dough 3-4 times until it is about 1/2 inch thick. 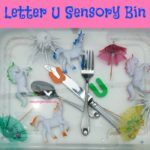 Cut biscuits out using a 2 1/2 inch cutter. Place biscuits on prepared pan as you cut them out. Gently reform dough and cut out more biscuits. Allow biscuits to cool for 10 minutes before removing them from the baking pan. 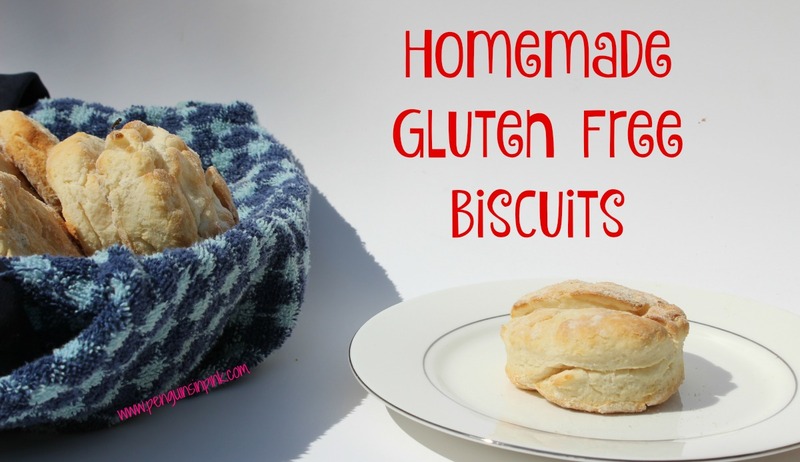 Store any remaining gluten free biscuits in ziptop bag in the refrigerator or on the counter. The biscuits should keep well for up to two days in the fridge. Prepare biscuits through step 11. Remove the tray from the freezer and put the biscuits in a ziptop bag, squeeze all the air out, and freeze. When you want to use them, simply thaw on the counter and bake. You can bake the biscuits directly from the freezer but you may need to add a couple of minutes to the bake time. 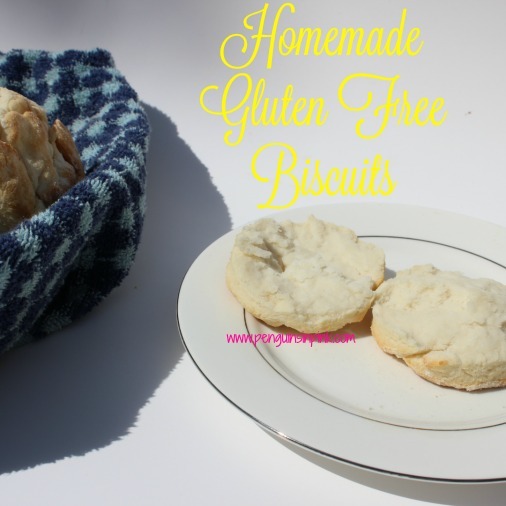 I think we all were surprised at how well these homemade gluten free biscuits turned out. Some of the other recipes I have tried to turn gluten free have not worked out. 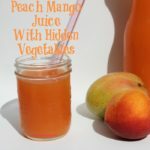 Apparently, you can not just switch out the flours and add xanthan gum and expect the recipe to be the same as the original, but this one was easy to convert. I guess I got lucky with this recipe for homemade gluten free biscuits! 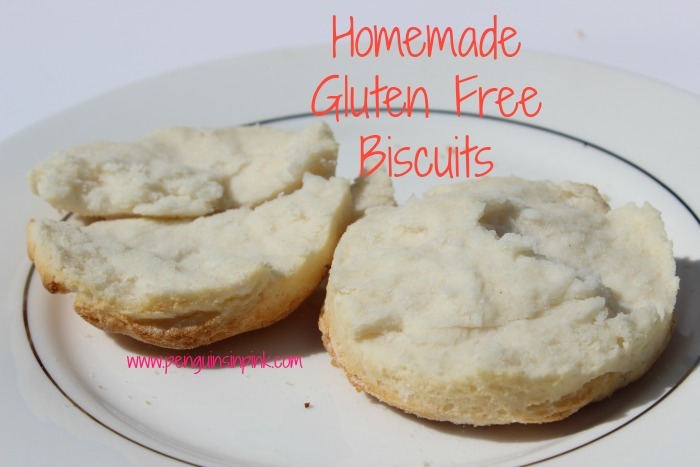 What’s your favorite way to enjoy homemade gluten free biscuits? 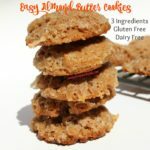 Gluten free biscuits that are light, soft on the inside and crispy on the top and bottom. I use Better Batter's gluten free flour for all my baking and it already contains xanthan gum. If your flour does not, and most don't, you'll need to add 1 1/2 tsp of xanthan gum to the ingredients. !To store: Store any remaining gluten free biscuits in ziptop bag in the refrigerator or on the counter. The biscuits should keep well for up to two days in the fridge. !To freeze: Prepare biscuits through step 11. Place the cookie sheet in the freezer for about 20-30 minutes. Remove the tray from the freezer and put the biscuits in a ziptop bag, squeeze all the air out, and freeze. When you want to use them, simply thaw on the counter and bake. You can bake the biscuits directly from the freezer but you may need to add a couple of minutes to the bake time.